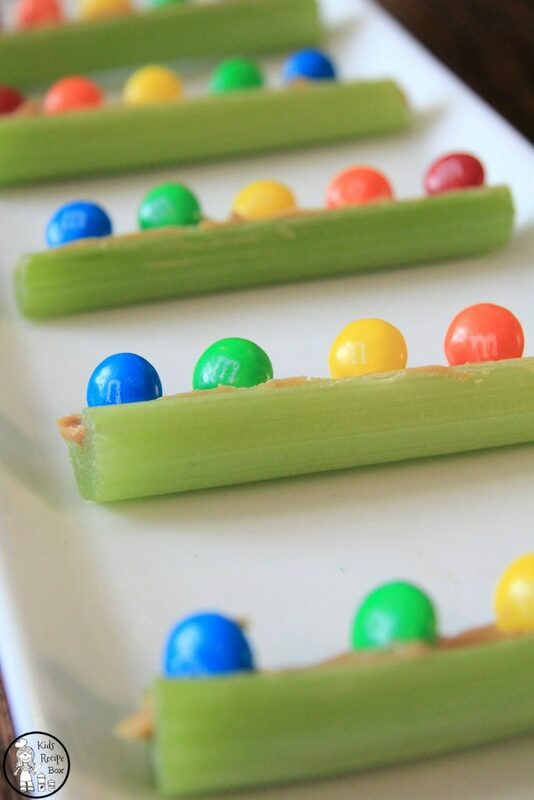 I am ever in search of healthy snack ideas, and these M&M Celery Boats Rainbow snack for kids were a huge hit with my littles. 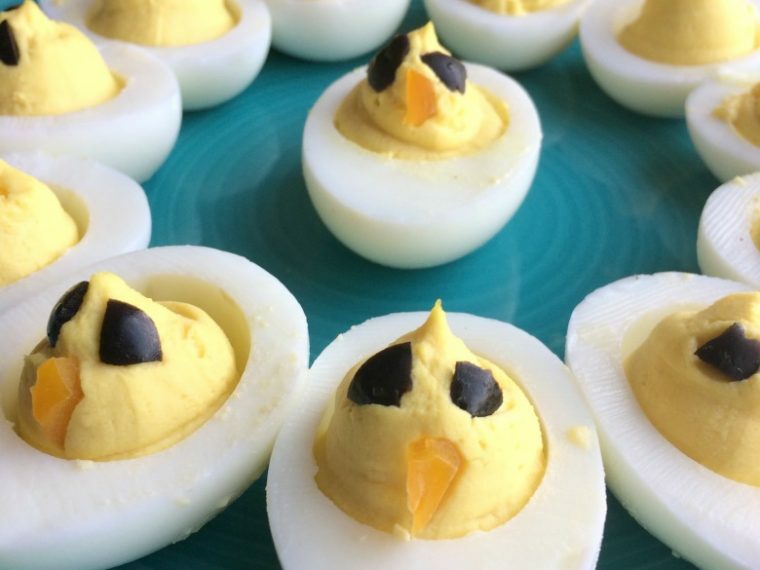 They combine a great vegetable with some healthy nut protein, and a bit of eye catching, colorful chocolate on top. Basically, they shout “Eat Me! !” and my kids chomped away without a hint of complaint. Celery is not on my kid’s shortlist of favorite vegetables. They hate the strings mostly, I think. I hide celery in a lot of soups and stews, but I keep trying to get them to snack on it fresh as well. 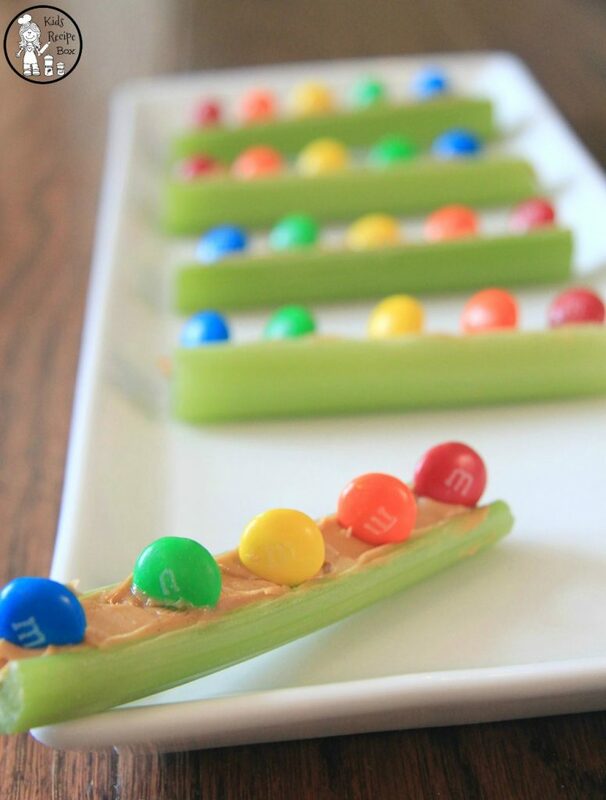 In the past we’ve made peanut butter celery boats without a great response. I loved them growing up. My mom would give us a handful of raisins to put on top, and we’d pretend they were little people sailing away on their boats. 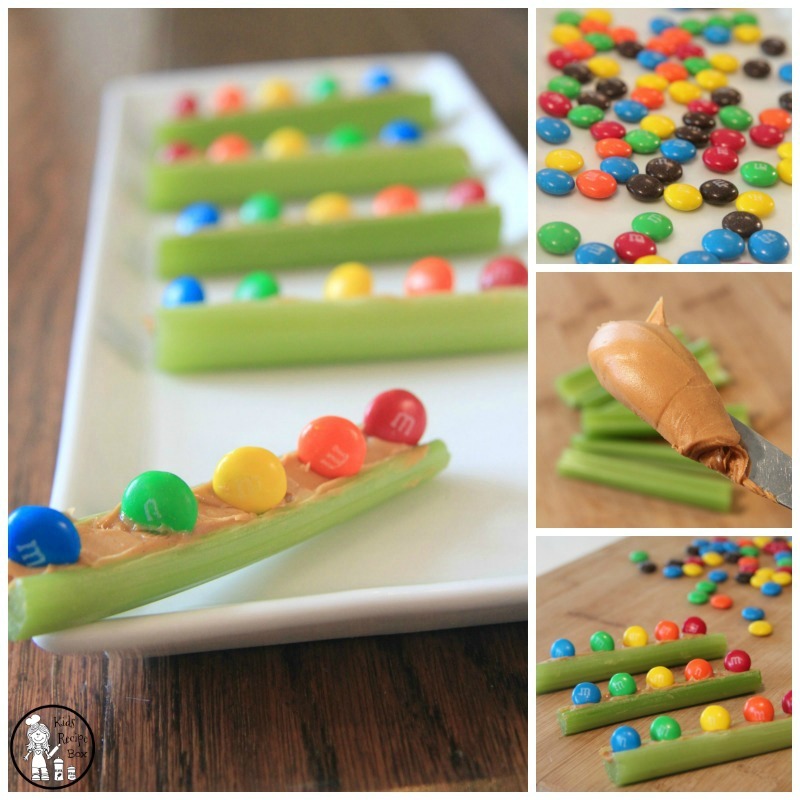 More recently, I tried topping our celery boats with chocolate chips. That captured a few more fans than the raisin topped snack, but I was still short a few celery lovers. This week, we needed a quick after school snack, and I happened to have M&Ms in the cupboard from a recent recipe. Peanut butter and M&Ms seem like an exceptional pair, so I thought we’d give it a try. 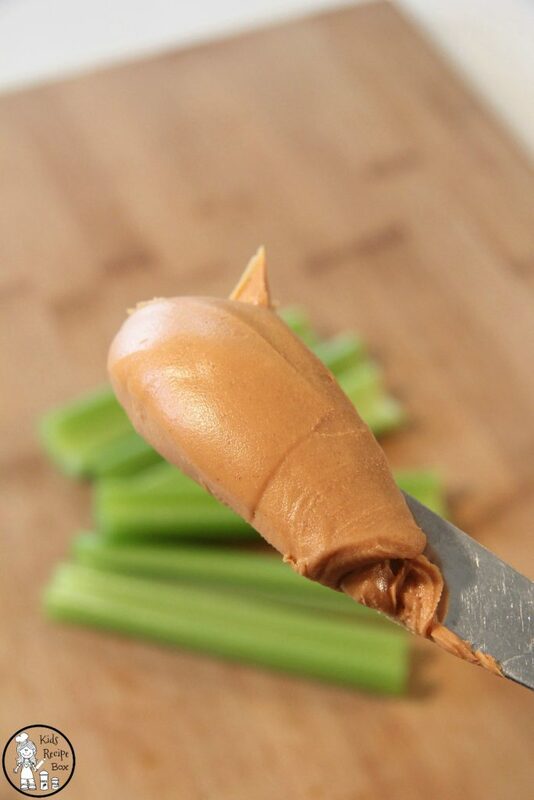 I chopped the celery and filled the sticks with peanut butter. 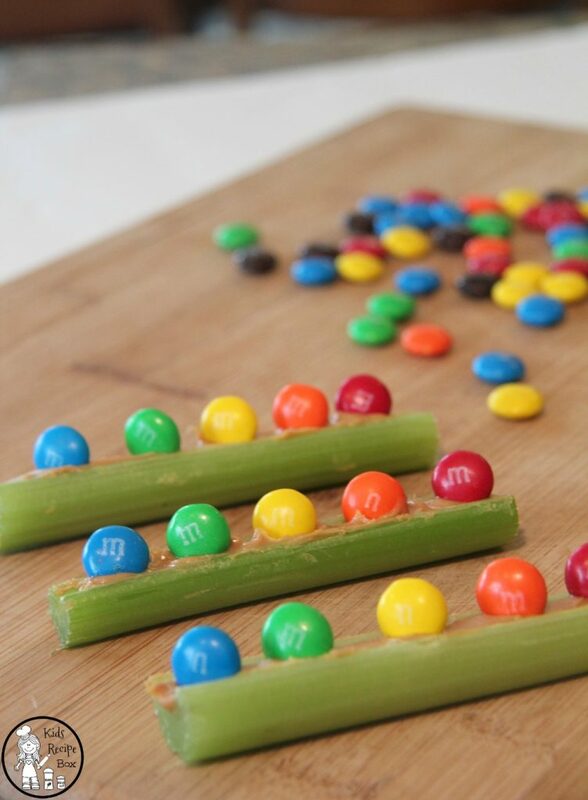 Then I handed over the M&Ms to let little hands decorate their own celery boats. The kids who had previously been sticking their nose up at celery were literally begging to be next in line for their snack. It was a major mom win moment. I could hardly believe how excited they were to try it. I’ll be honest here and admit that I ate several myself. The crunch of the celery with the chocolate peanut butter combo on top was quite heavenly. I ate a couple, and called it my lunch. 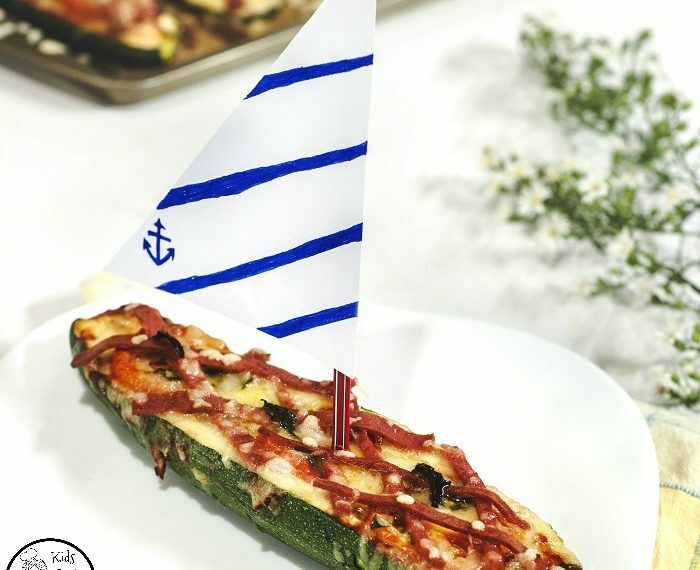 My kids had fun creating patterns on their celery boats. Our favorite was making rainbows. 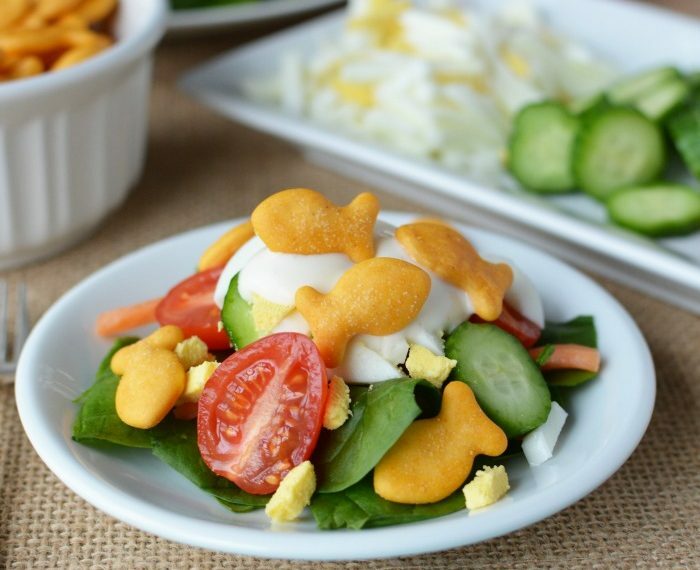 They made such a cute rainbow snack for kids to be served at a party or during a rainbow week at preschool. 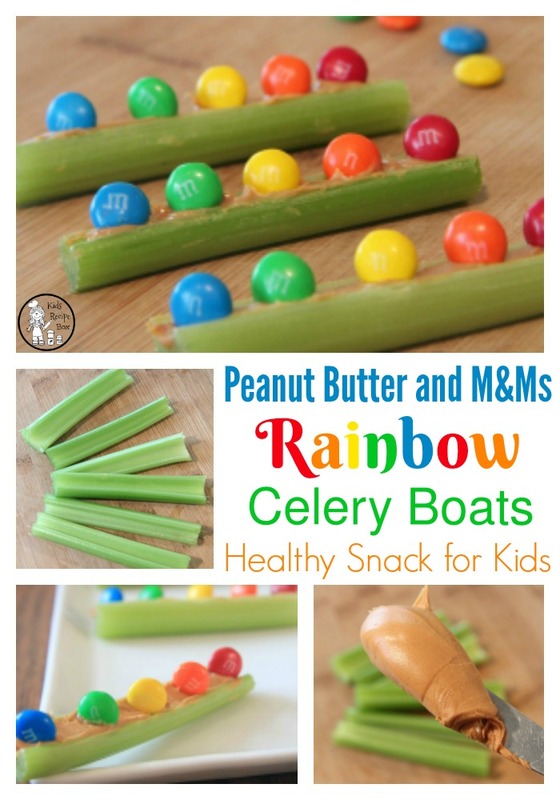 Thank you for checking out our yummy M&M Celery Boats Rainbow snack for kids. 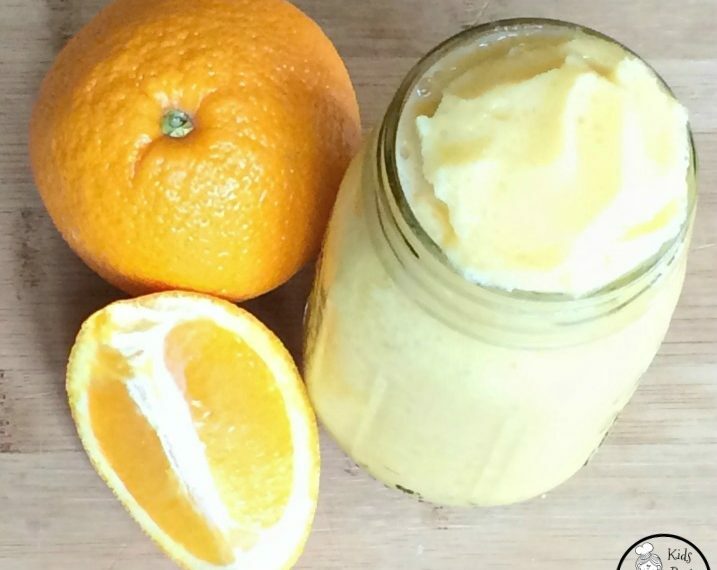 Go make one, or several for yourself and the cute little people in your life.